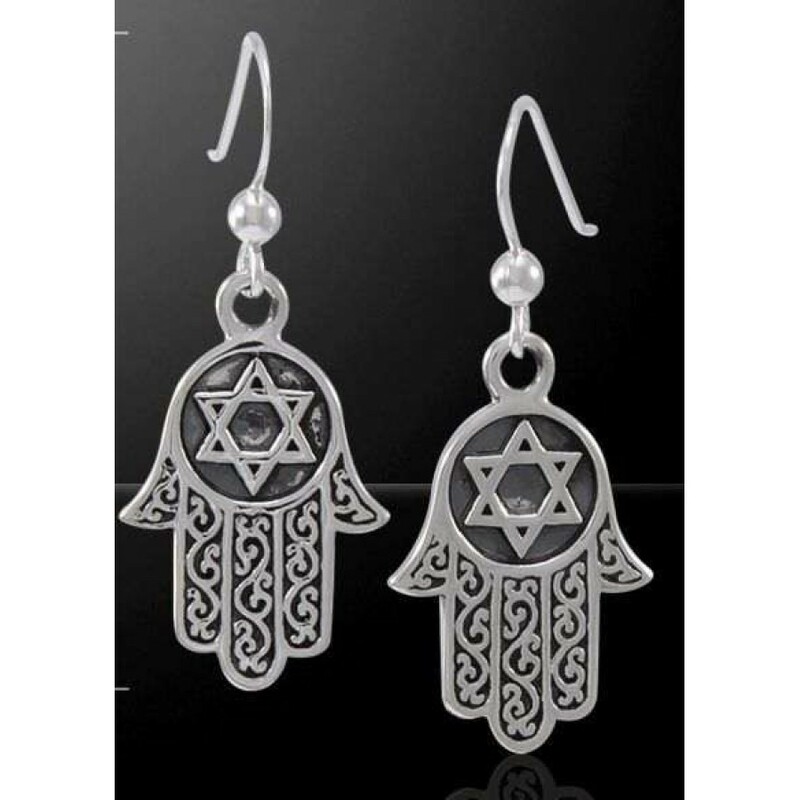 Ward off Evil by wearing these Hamsa silver earrings - the Hand of God said to protect the wearer from all forms of evil. The Hamsa, also known as the Khamsa, the Humes hand, the Hand of Fatima and the Hand of Miriam, is a popular symbol found throughout the Middle East and northern Africa, particularly within the Islamic and Jewish faiths. It is popular as an amulet to ward off the powers of the Evil Eye. 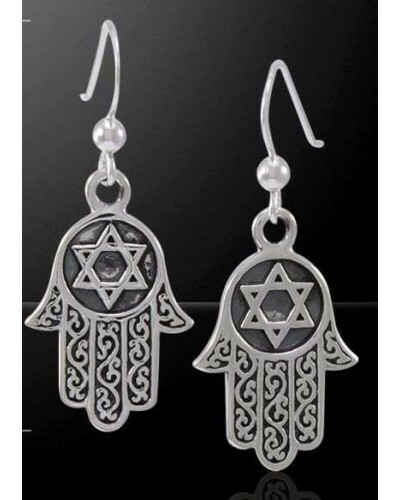 The hamsa symbolizes the protective hand of God shielding those who wear the charm against evil. 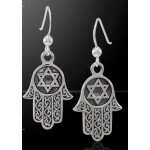 Some hamsa have an eye within the palm said to be the attentive eye of God for further protection. 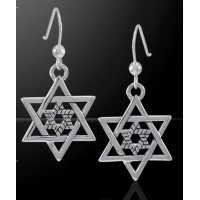 These stunning sterling silver earrings are hand made with the Star of David within the palm. 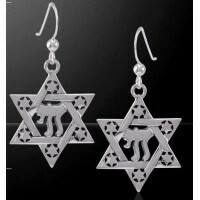 The Star of David or Shield of David is 2 interlaced triangles, one pointing up and one pointing down. They measure 1 3/8 inches including the sterling silver ear wires. Item Number: PS-TER1554 | Approximate Size (Inches): 0.48 wide x 0.01 deep x 1.38 high | Approximate Shipping Weight: 0.25 lbs. 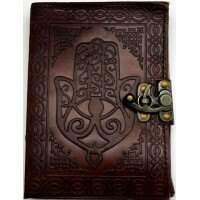 Embossed Hamsa design on the cover of this brown leather book has a brass l..